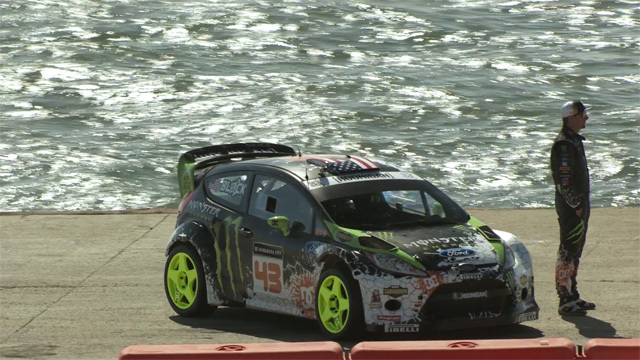 We told you a short while ago that Ken Block’s next Gymkhana video would take place on the streets of San Francisco. Well, juding by this new teaser it looks like things may kick off in the open ocean! Check out this Gymkhana FIVE teaser with Mr. KB doing smokey donuts on a floating barge during rush hour on the Golden Gate bridge! If the teaser makes you hungry for more then just stay tuned for the official release of Gymkhana FIVE on July 9th.